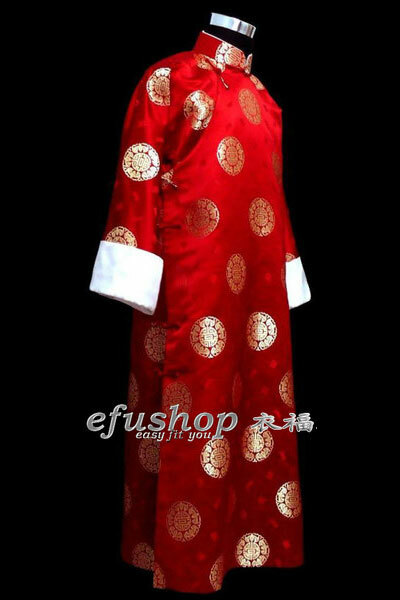 Description: Red silk tapestry satin. Mandarin collar, long sleeves with white cuff, Single-line buttons from right opening till the bottom. Full length, suitable for autumn and winter.